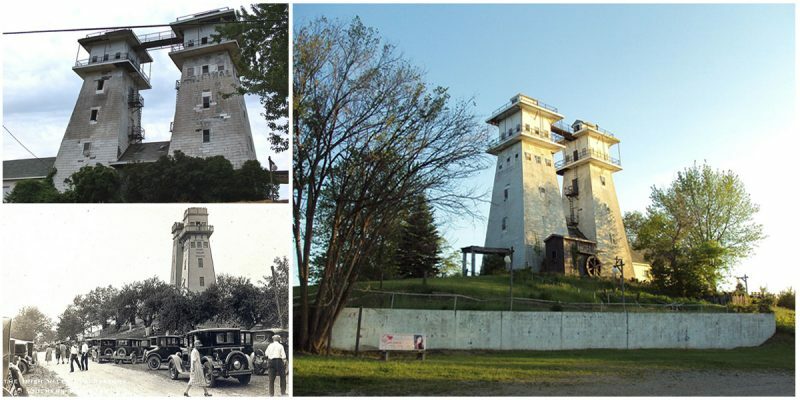 Located at the highest point of the Irish Hills region, Michigan, standing 64 feet tall and 1400 ft above sea level, the Irish Hills Towers are two wooden observation towers which were originally constructed in the 1920s as lookout points for the beautiful countryside that surrounds them. The towers have an interesting history. 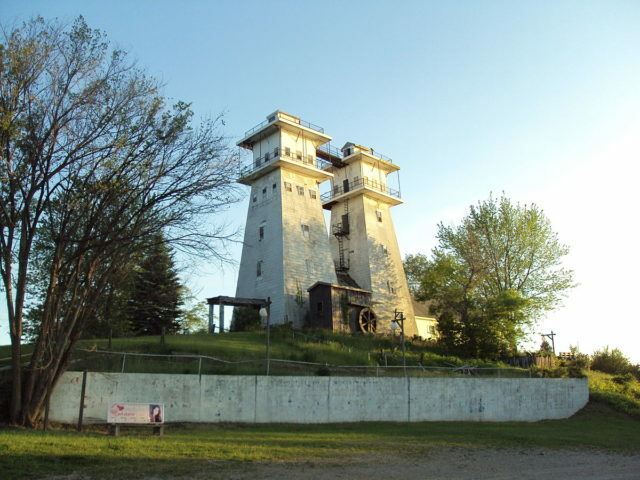 Michigan Observation Company first approached Edward Kelly, a farmer who owned half of the knoll, but he refused the company’s offer to purchase his portion of the land. 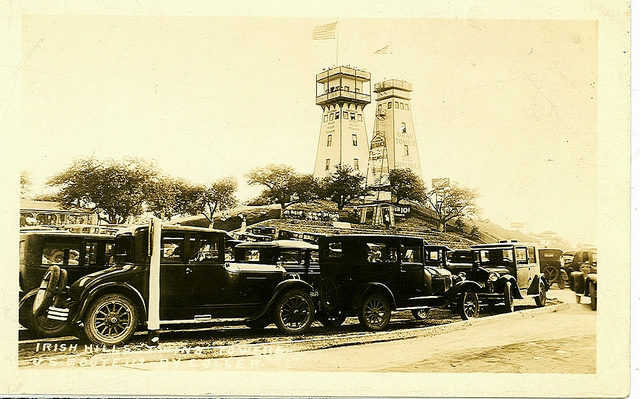 The adjoining land owner, Thomas Brighton, consented to the sale of his plot and the first tower (The Brighton Tower) was built in 1924 so that visitors could view the landscape from its highest point. 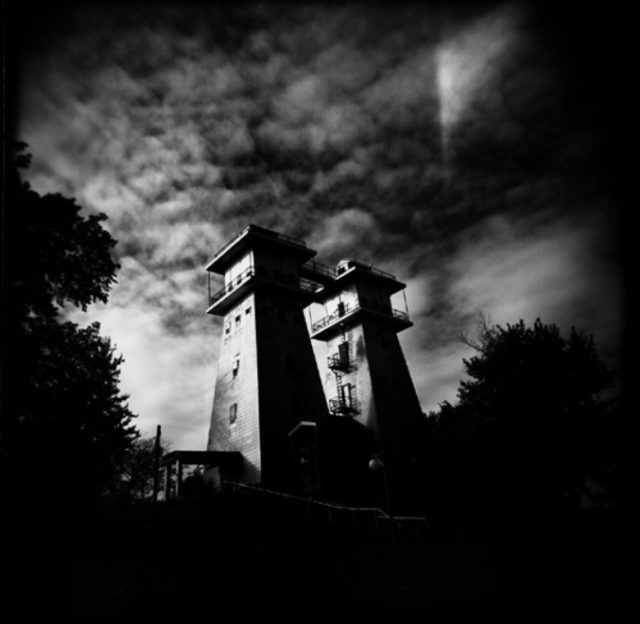 Edward Kelly was upset with the company for blocking his view with their tower so he decided to build his own structure. 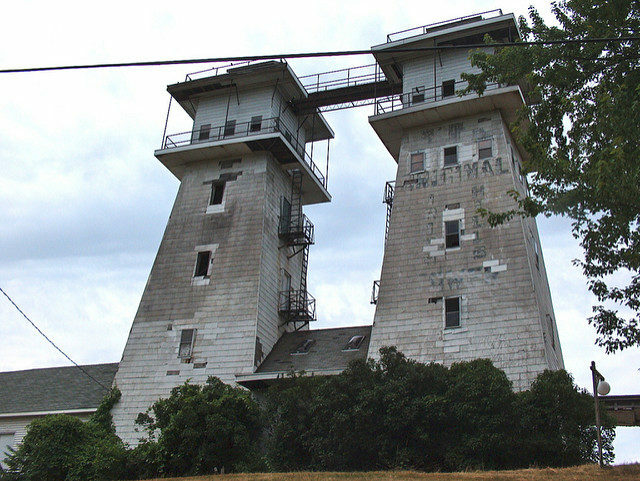 The second tower, which became known as Kelly’s “Spite Tower”, was less than five yards away from the opposing structure and ten feet taller. 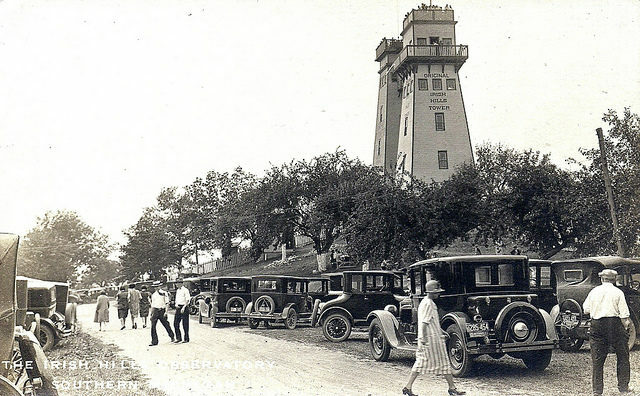 The Michigan Observation Co. responded to Kelly’s project by adding a 15-foot-high platform to their tower. Kelly proceeded to add a raised platform to his “Gray” tower (named as such because of its gray-painted exterior), an act which brought the two edifices to an even height. This battle continued until the Observation Company told him they would tear down their structure and build a modern metal tower that would overshadow anything Kelly could do. He knew he could not compete so he gave in. 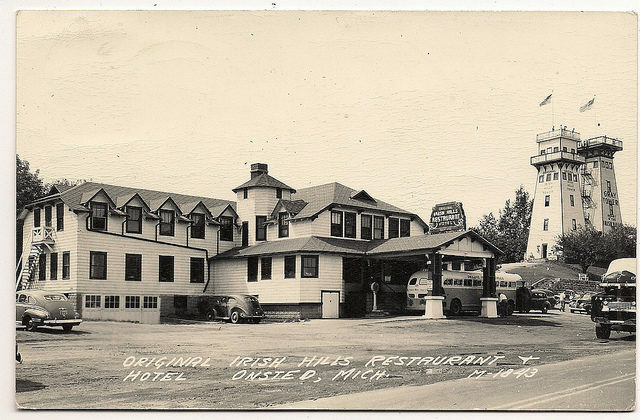 Thirty-one years after they were built, the Irish Hills Towers finally shared an owner. 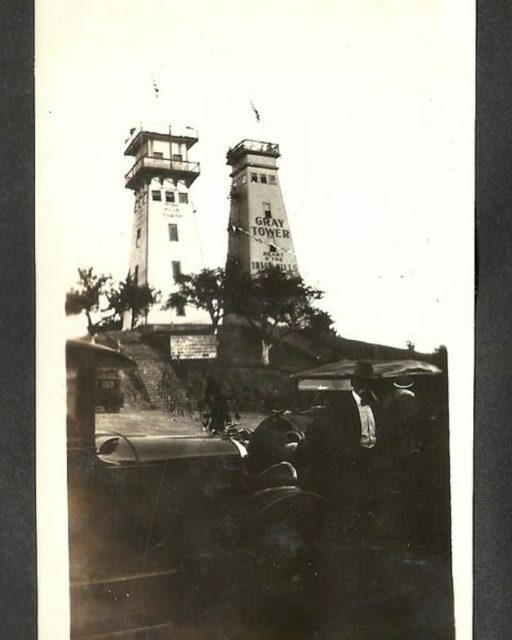 He acquired both towers and connected them with a ground-level gift shop and allowed guests to ascend both towers for the price of one admission. Many people have purchased the towers over the years and several have made renovations. However, a steady decline in visitors since the 1970s forced the owners to close the regional icons in 2000, at the end of the summer season. 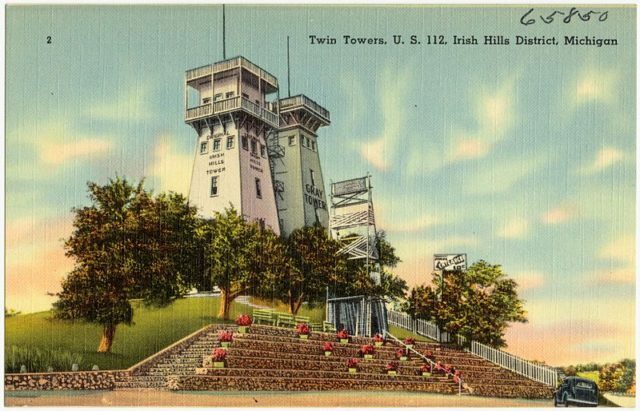 JDS Historical, together with the Irish Hills Historical Society, is working to restore the twin observation towers, which once ranked among Michigan’s top tourist attractions.